Delivery service of goods in town video concept. Courier carries package. 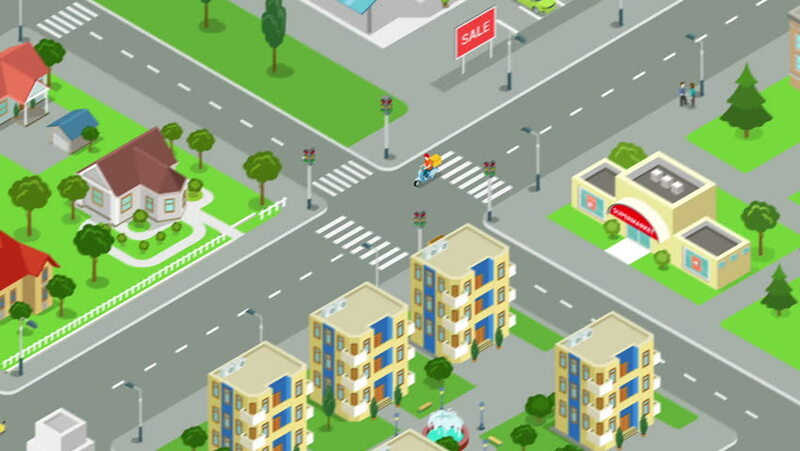 Man with box on scooter rides through the street of the village looped animated. Flat 3d isometric design animation. hd00:10Delivery service of goods in town video concept. Van rides through the street of the village looped animated. Flat 3d isometric design animation. hd00:10Gasoline tanker rides through the street of the city looped animated. Oil petroleum transportation video concept. Flat 3d isometric design animation. hd00:14Delivery service of goods in megalopolis video concept. Van rides through the street of the city looped animated. Flat 3d isometric design animation. hd00:06A route line from one point to another on an abstract city map. 4k00:24GPS Navigation, Localization. Seamless loop. 3D view. 4k, Ultra HD, UHD.